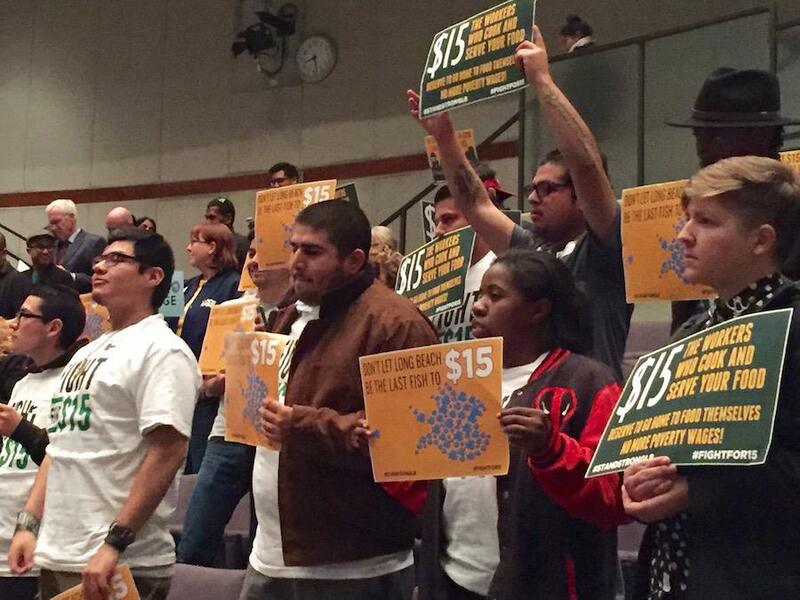 Santa Monica has finalized its Minimum Wage Ordinance to raise the wage to $15.00 per hour by 2020. SANTA MONICA—On Wednesday, April 27, the city of Santa Monica announced that the Minimum Wage Ordinance has been finalized. July 1, 2016 will be the first day of a citywide minimum wage of $10.50 per hour that will then rise to $15.00 per hour by 2020. The law will represent eight months of work the city has done with stakeholders including employers, workers, advocacy groups, community members and subject experts. A Minimum Wage Working Group made up of community members representing different stakeholder groups, and formed after the law’s adoption on January 12, 2016, made recommendations that were incorporated into the amended ordinance. There are several highlights in the Minimum Wage Ordinance. The new minimum wage will have a one-year delay for businesses with 25 or less employees and for qualifying non-profit organizations. The hotel minimum wage will start at $13.27 per hour and rise to $15.37 per hour in 2017 to match Los Angeles’ Hotel Minimum Wage. Starting on January 1, 2017, Santa Monica workers will receive paid sick leave that is beyond the State requirements. Santa Monica will also be matching the State law for first-time workers where employees who are working in a job activity for the first time can earn 85 percent of the minimum wage for the first 160 hours of employment. The ordinance also includes service charge and enforcement provisions. Employers must distribute 100 percent of the service charge proceeds to employees, describe service charges to customers, maintain records and share how revenue is distributed with employees. Employers also cannot retaliate against employees for rights protected under the law. For more information on the Minimum Wage Ordinance visit smgov.net/minimumwage. Employers that have questions about the ordinance can contact the city of Santa Monica’s Finance Department at (310) 458-8281.